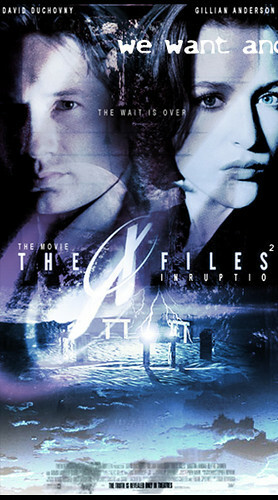 The X Files: I Want to Believe was a poor attempt to revive the X Files for movies. This uninspired ghost from the past just gets a 6. While the usual elements were there, it was the pale reflection of a good episode. The studio limited the budget to $30 million (avg budget is around $70m these days) to reduce the risk of a lack of appeal to general audiences. The movie is set post-trial (last season finale) and Mulder has been in hiding for years. Fox and Scully are pretty much themselves but with a clumsy attempt to show that they have changed or moved on with their lives. It seemed like a half-hearted attempt to grow the characters. Failure of mission. Gillian Anderson seems to have aged significantly. She seems to be shrouded in a cloud of bad times and sorrow. Assistant Director Skinner makes a brief cameo adding little more than nostalgia. The plot was interesting but lacked energy. The FBI offers amnesty to Mulder if he will help them determine if a psychic can help them find a missing agent. It actually developed kind of well and had a pretty interesting ending. However, they should have spent more time, detail and special effects dollars on the plot at the end. That would have stepped up the energy and interest. It was nice to see two Battlestar alums in the cast. Callum Keith Rennie (Leoben the Cylon) plays one of the bad guys and does a nice job but nothing very impressive. The other was the priestess from Gemenon as a doctor interacting with Scully via video-conference. At least it looked like her. Sadly, this was essentially a long, mediocre X Files episode. I write this with a heavy heart as the X Files is one of my all time favorite shows.